The Cyber Intelligence Sharing and Protection act (CISPA) will be reintroduced by House Intelligence Committee Chairman Mike Rogers (R-Mich.) and ranking member Rep. Dutch Ruppersberger (D-Md.) before the US House next week. 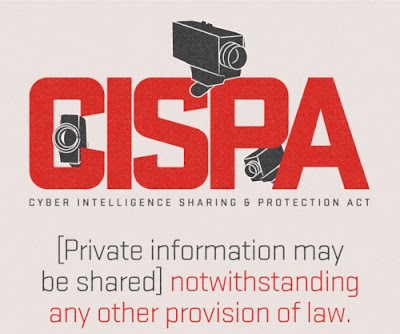 CISPA would've allowed any company to give away all the data its collected on you if asked by the government and The bill that plan to introduce next week will be identical to the version of CISPA that passed the House last spring. May be the recent reports of cyber espionage against The New York Times and The Wall Street Journal, along with attacks on the Federal Reserve's Web site and on several U.S. banks have brought the issue back to the fore. "This is clearly not a theoretical threat - the recent spike in advanced cyber attacks against the banks and newspapers makes that crystal clear," Rogers said in a statement. If implemented, An independent Intelligence Community Inspector General would review the government's use of any information voluntarily shared by the private sector, and provide an unclassified report to Congress. CISPA would also expire after five years, and require congressional action to be renewed. The White House threatened to veto CISPA last year, saying the bill would not protect the nation’s critical infrastructure or guarantee the privacy of consumer information that could be shared by companies. But privacy and civil-liberties advocates expect to revive their efforts to fight against the bill this year. Congressman Rogers said this about privacy fears: "We're talking about exchanging packets of information, zeroes and ones, if you will, one hundred millions times a second. So some notion that this is a horrible invasion of content reading is wrong. It is not even close to that. ".